A beautiful cat-and-mouse caper coupled with lovely acting built around a solid, if predictable, premise. The best fugitive movies are the ones where the runaway and the cop/detective on the chase form a type of symbiotic relationship or unspoken respect for one another, to watch someone learn so much about the opposing side to where they feel like they know them. Such pairings have become nearly as common as superhero blockbusters, and yet…we can’t keep watching. At least when they’re done well, where nothing else in the film matters just as long as we core relationship feels authentic and justified. The Old Man & the Gun is one of those movies. The “old man” referenced in the title is Forrest Tucker (Robert Redford), a 70-year-old bank robber and career escape artist with an incredible stat: he’s managed to escape from prison sixteen times throughout his long career. The movie is set in 1981, which somehow makes this more believable (it’s also based on a true story, which somehow doesn’t make it more believable these days). Tucker is on the run once again after robbing a bank in Texas when he meets Jewel (Sissy Spacek), a fellow septuagenarian who unknowingly aids him in his getaway. Instantly, Tucker falls for Jewel, and their relationship helps us see who he really is – which isn’t all that different from how he carries himself while performing his heists. Every teller who gets interviewed by the police remarks on how friendly and charismatic Tucker is. And how happy he always seems. On the other hand, there’s police detective John Hunt (Casey Affleck), the lead on the geriatric criminal case. Unlike Tucker, Hunt isn’t necessarily charming or likable, even from the get-go. A guy with a family at home, but hates his job. He’s depressed and it’s obvious. Contemplating where he’s at with his career, he sees catching Tucker as a way to revitalize the passion he (presumably) once had for his line of work. Which is why when the FBI tries to step in and take the case from him, he stubbornly resists. While the movie is named for Redford’s character, it’s just as much about Hunt. Where Hunt feels stuck at work, Tucker literally can’t stop robbing banks because he loves it so much. He doesn’t do it out of necessity. Both criminal and detective present opposite sides of the same metaphorical coin, existing to juxtapose their strengths and weaknesses against each other. Affleck is subtle, yet concise with his every facial expression, deliberate with each word he says. Redford is obviously from a different era of acting. That’s not a slight, it’s just not one we see much of these days. At 82-years old he’s actually playing younger, and from the way he delivers his lines down to something as slight as his inner conviction, Redform’s style is glaringly different than Affleck’s, a reminder this is the same man who played a strikingly similar rogue in Butch Cassidy and the Sundance Kid. Where The Old Man and the Gun works best are those perfect moments between two characters, like Redford and Spacek exchanging dialogue in a diner that’s almost Tarantino-like. This scene goes on longer than one composed mostly of dialogue need to, but it’s more than acceptable when done with the artful grace of a well-written script. The inevitable, yet beautifully memorable exchange between Tucker and Hunt demonstrates just how talented writer/director David Lowery (2016’s Pete’s Dragon) is at crafting these type of scenarios. The dialogue is so specific and tailored to each character we couldn’t imagine Affleck saying Redford’s lines, and vice-versa. 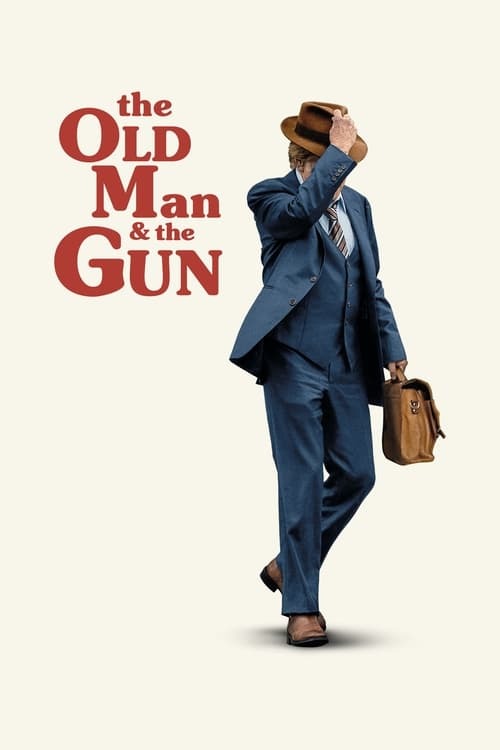 The Old Man & the Gun is a filmmaker’s film. It’s not perfect entertainment, but its beauty is right there in the details, coupled with lovely acting from the leads built around a solid, if predictable, premise. One takeaway might be that it’s not as gripping as its title suggests, but the movie’s real pleasures come not from the heists or getaways, but from watching a relationship of necessity build to its ultimate, and unavoidable, conclusion. If this is truly the last time we’re to see Redford on screen, as is being reported, at least he’s going out with his head held high.